This week’s list of data news highlights covers January 26-February 1, 2019, and includes articles about a new video game to test the sophistication of AI agents and Google’s AI model to predict floods. Google is using an AI tool it developed called Automated Retinal Disease Assessment (ARDA) to diagnose diabetic retinopathy, which can cause blindness, in India. Google trained the tool on 1.6 million images of retinas to detect signs of the illness, such as lesions, burst blood vessels, and yellow patches. Google is also increasing the system’s ability to analyze lower-quality images because many images taken at clinics in India are of poor quality, which can cause the tool to not produce a diagnosis. Video game development company Unity has created Obstacle Tower, a video game the company designed to measure AI agents’ level of sophistication. The game has up to 100 levels and each level changes each time an AI agent attempts it. The game features puzzle-solving tasks, such as searching for keys and avoiding enemies and spike pits, which will test an AI agents’ computer vision, virtual locomotion, and planning ability. Researchers from the Massachusetts Institute of Technology have developed AI that removes bias from algorithms. The AI system learns how to perform a task, such as facial classification, and it analyzes the supporting dataset to find underrepresented data. The AI system then automatically resamples the dataset. The researchers found that their AI system reduced bias by over 60 percent when compared to state-of-the-art facial detection models. Researchers from Google, the Israel Institute of Technology, and Bar-Ilan University in Israel have developed a machine-learning model that predicts the possibility and location of river floods within 300 meters. The model uses real-time data and short-term forecasts of river water levels to produce maps that estimate flooding. 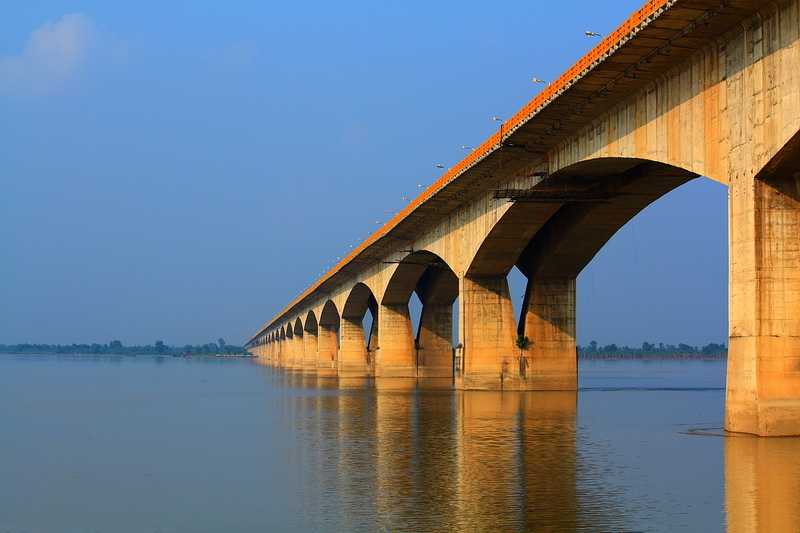 In a pilot that took place in 2018 near Patna, India, the model could predict flooding incidents with 75 percent accuracy. Researchers from Virginia Tech Carilion, a medical school and research institute, are training an AI system to diagnose mental illness. The researchers feed data from magnetic resonance imaging, survey responses, interviews, and psychological assessments into a machine learning algorithm to identify the differences between the brains of people with and without mental disorders. The researchers plan to start incorporating blood and saliva data as well to further help their model identify the effectiveness of various interventions to treat mental illness. Researchers from the Massachusetts Institute of Technology have used machine learning to create a robotic arm that can play Jenga, a block stacking game, without significant training. The robot uses a hierarchical model that allows it to estimate the state of a piece, simulate possible moves, and decide on the best one. The robot decides when a piece feels stuck or free though pressure-sensitive force sensors. Gatwick Airport in London plans to start a trial in April using autonomous robots to park cars more efficiently. Travelers will drive their car to one of eight cabins, confirm their parking reservation through a touch screen, and robots equipped with slender beds will slide under vehicles and move them to a secure lot. The service will have access to users’ flight details, allowing the robots to bring travelers’ vehicles back to one of the cabins as travelers return. Researchers from the Royal Melbourne Institute of Technology in Melbourne have developed a new AI model to play the classic Atari video game Montezuma’s Revenge. AI researchers had previously struggled to develop systems that perform well at the video game because it does not immediately reward players for positive behaviors. The researchers developed a model that could skillfully play Montezuma’s Revenge by using pellet rewards, which provide small, intermediate rewards as the AI agent completed subgoals such as climbing ladders, to encourage progress to larger goals. Several towns in New Jersey are using drones to monitor and manage rivers prone to flooding. The drones take high-resolution images linked to GPS data that help the towns identify trees and shoals that block water flow and lead to flooding. For Pompton Lakes, a northern New Jersey town, the drones replaced hundreds of hours of humans walking the rivers to identify areas of concern. Students from the Swiss Federal Institute of Technology, Lausanne, in Switzerland have developed an app called ApiZoom that uses image recognition technology to identify deadly mites that can cause the collapse of a bee colony. The students trained their system on thousands of images of mites, which are barely a millimeter long, and beekeepers can use their smartphone to upload a photo and know in seconds if mites are infecting the hive. Prior to the development of the app, which detects the presence of mites with 90 percent accuracy, farmers assessed infestations by counting the number of dead mites that fell on a wooden board.